I found a treasure in a library book sale in Florida last week. War Letters; Extraordinary Correspondence From American Wars. Letters are preserved from the Civil War through Bosnia. Of particular interest to me are those from the two world wars. Among the World War II letters are two from Alexander Goode to his sweetheart/wife. Although his name wasn’t familiar, I immediately recognized his situation. He was one of the Four Chaplains. In January, 1943, the Dorchester, a coastal liner converted to a troop ship carried 902 men to Europe. The small convoy consisted of two other ships and three Coast Guard cutters. When the Dorchester was only 150 miles from its destination, they were discovered by a German wolf-pack. At 12:55 a.m. February 3, 1943, a torpedo slammed into the vessel, destroying the electrical system and creating panic. 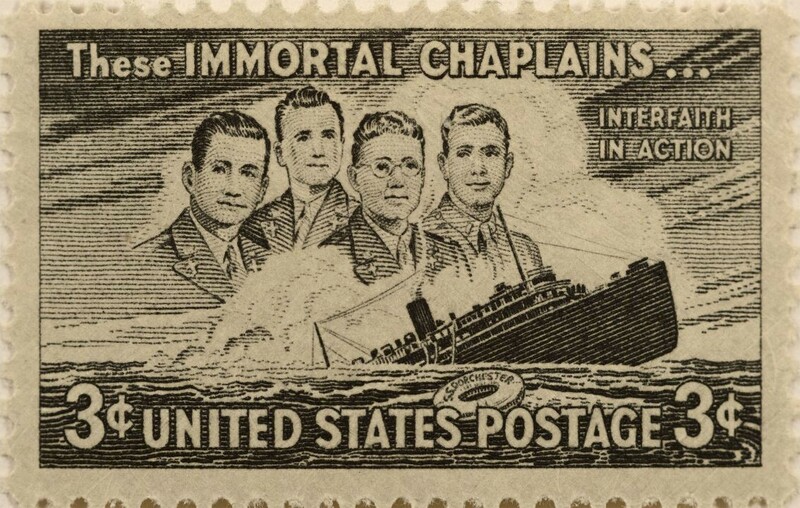 Four chaplains were aboard the ship: one priest, one rabbi, and two Protestant ministers. In the pandemonium, Lieutenants George L. Fox, Alexander D. Goode, Clark V. Poling, and John P. Washington calmed the men, distributed life jackets, and directed them to the lifeboats. When they ran out of vests, the chaplains removed their own and gave them to the soldiers. 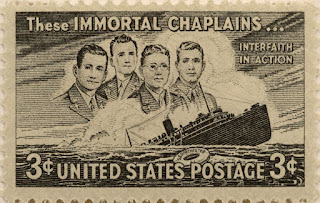 Survivors watching the ship go down saw the four chaplains link arms and brace themselves on the slanting deck. They could be heard praying. I would what he thought as the years passed and no country wanted to admit Jews. It was the last his wife ever heard from him. When was the last time you read a Science and Mechanics magazine from 1937? Not lately? You missed an interesting article! 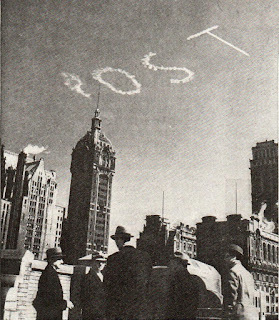 When was the last time you saw writing in the sky? Today, it seems to be more common to see planes towing banners. 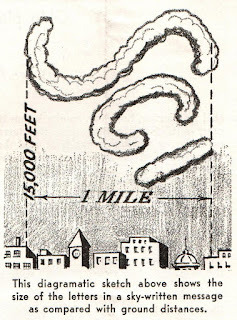 Skywriting began after the First World War. A British war ace wrote DAILY MAIL over the Epson Downs racetrack during the running of the derby in 1922. In October of that year, an American wrote high above New York, HELLO USA CALL VANDERBILT 7200. That was the phone number of the Hotel Vanderbilt in New York. The switchboard was swamped for over five hours. 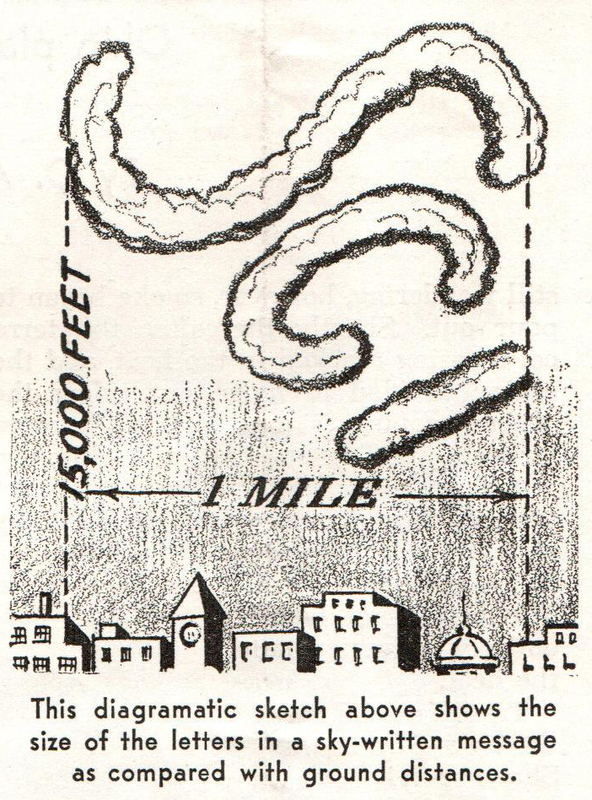 Skywriting is performed nearly three miles above the earth. Each letter is approximately one mile high, and writing a phrase may take eight miles. Each letter is written on either a higher or lower plane than its predecessor. When crossing a “T”, the cross bar is at least 50 feet higher. Otherwise, propeller wash blows away part of the work already completed. Wind doesn’t break up skywriting. It carries the message along, intact. A message written over the Chicago loop was read in Michigan City an hour and a half later. Writing will be broken up by intermittent gusts or rising and falling air currents. 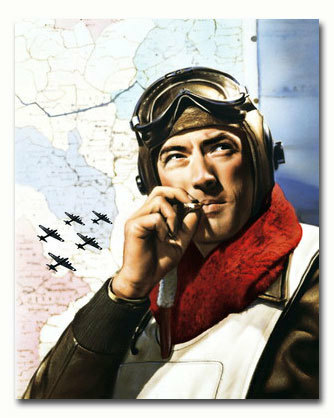 The pilot carries a chart showing him exactly where to turn on and shut off the smoke. The writing is done on a horizontal plane, rather than vertical, and is written backwards so it is readable from the ground. In the days before computer assistance, skywriting seemed to be a sixth sense. Some pilots took to it like a duck to water. Others just didn't. Who Doesn't Like a Gregory Peck Movie? Wondering about his World War II military service, I discovered he didn’t serve. He was an English major who planned on becoming a doctor, but while he was at Berkeley, he was recruited to appear in plays. He became an actor. 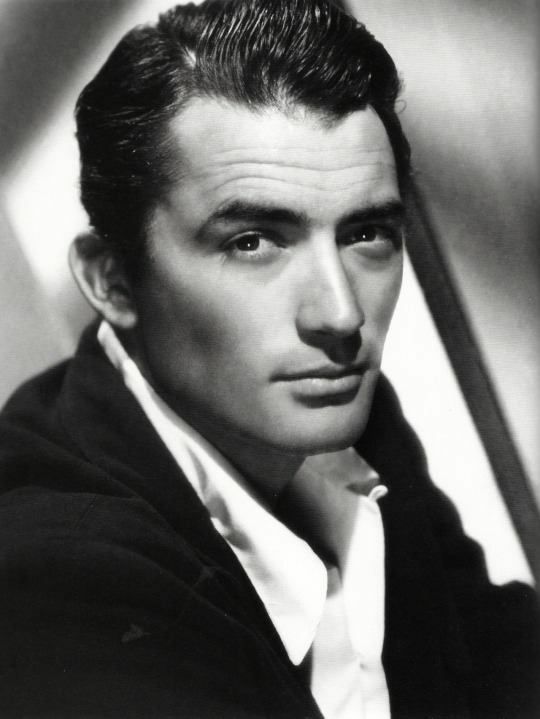 Born Eldred Gregory Peck in April, 1916, he dropped the Eldred and headed to New York after graduation. Money was tight; he sometimes slept in Central Park. He began appearing in plays in 1941.
including 12 O'Clock High and Guns of Navarone. The 6’3” actor was a lifelong Democrat. Had President Johnson sought re-election in 1968, he would have offered Peck the ambassadorship to Ireland. With his Irish ancestry, Peck said he may have taken the job. In 1987, Peck did voice-overs for television commercials opposing President Reagan’s nomination of Robert Bork for the Supreme Court. Peck married his first wife in 1942 and fathered three sons. During the marriage, he had a brief affair with co-star Ingrid Bergman. On New Year’s Day, 1956, the day after his divorce, he married his second wife, Veronique, a Paris reporter who had interviewed him in 1952. They had a son and a daughter. 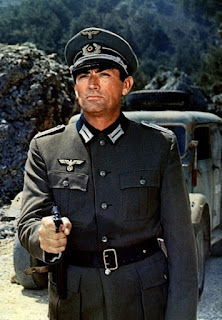 Gregory Peck died on June 12, 2003, of bronchopneumonia. He was 87.